When it comes to choosing a dog, many people have a very specific idea of what they want. Some have a burning desire to own a particular breed, while others are more concerned about the color of their new pet. A consistently popular choice is white dogs. The sight of a pure white dog bounding through a green field is incredibly beautiful, and the striking color makes them perennially popular. White dogs are certainly an attractive choice, but there are a number of specific factors to consider as a potential owner. Make sure that you are aware of all of the variables before committing to a certain white dog breed. There are white dog breeds of all shapes and sizes, and this article will introduce some of the most popular moving from small breeds to larger ones. One of the classic white dog breeds is this petite lap dog from France. The Bichon Frise is a cute little ball of fluff that is easy to keep thanks to its tranquil temperament. Those little legs don’t need much exercise in order to get tired out, so this breed makes a good house dog. 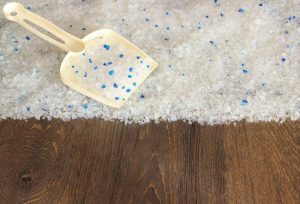 Interestingly enough the Bichon Frise does not shed, making the breed a good choice for those who suffer with allergies. It can be difficult to housebreak this breed, and the dog does not enjoy spending long periods of time alone. The breed is also known for its high-pitched bark which can put some people off. 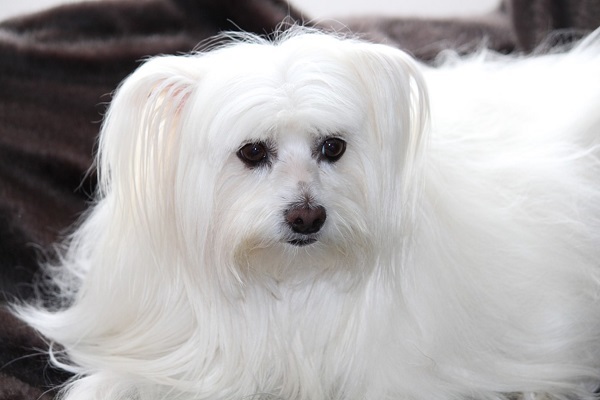 The Maltese is similar in size and appearance to the Bichon Frise, but has a long coat. These elegant small dogs are known for their intelligent and playful nature. Like the Bichon Frise, Maltese are difficult to housebreak. They are also known to enjoy barking. It is important to train your Maltese to respect your orders, or they may turn out spoilt and yappy. No one likes a yappy dog. 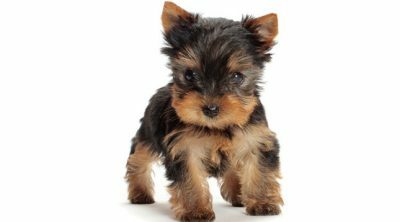 Maltese generally need to be protected from larger breed of dogs, which can injure the little Maltese if left unsupervised. “Westies,” as this breed is popularly known, are generally thought to be big dogs stuck inside a small dog’s body. That is to say that they are blessed with a large dose of self-esteem which does not entirely fit with their physical stature. In contrast to the Bichon Frise and Maltese, Westies are tough dogs that are determined hunters and diggers. It’s best not to keep Westies around small animals like rodents or rabbits, who will generally meet a sticky end. If you don’t have other pets, Westies can be perfect companions and even warn of intruders to the house. 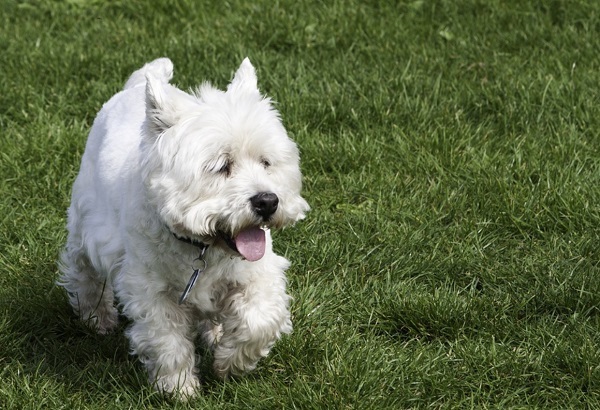 Westies need more exercise than most small dogs, and are known for their stubborn intelligence. As a result, consistent training is necessary in order to assert authority. This small white dog has a pretty fluffy tail and a thick white coat. The breed is known to crave attention from humans and makes a great companion as a result. 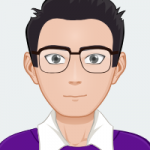 Families with children and older pet owners would do well to consider this loving little creature, which needs daily walking but not a huge amount of exercise. 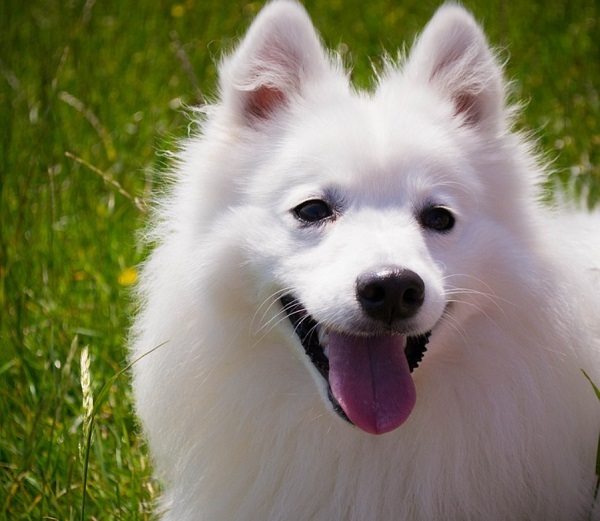 However it is important to properly train your dog, as Japanese Spitz have an independent streak. Make sure to socialize your dog from an early age to prevent them from becoming dominant around others. 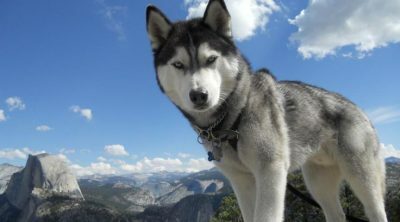 This noble dog is loyal and dependable if given enough exercise and companionship. Samoyeds need strenuous exercise to burn off their considerable energy, and close friendship in order to keep their sociable side satisfied. 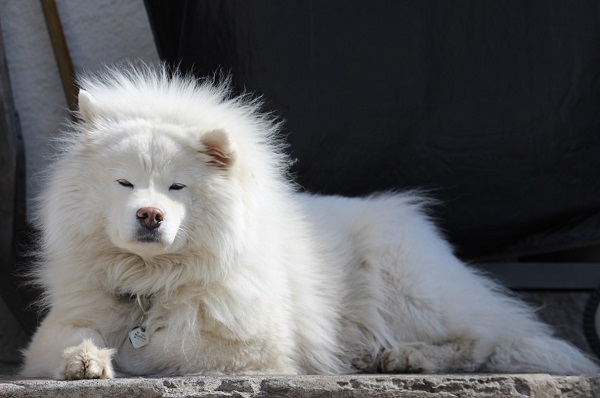 The Samoyed is known to bark a lot, which can discourage some potential owners. They also need early training due to an independent nature, but respond well thanks to their natural intelligence. Be careful with the Samoyed around other animals, as the breed as strong chasing instincts. 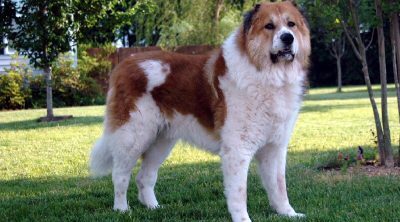 This breed looks a bit like a smaller Akita, and is known for its strong will. 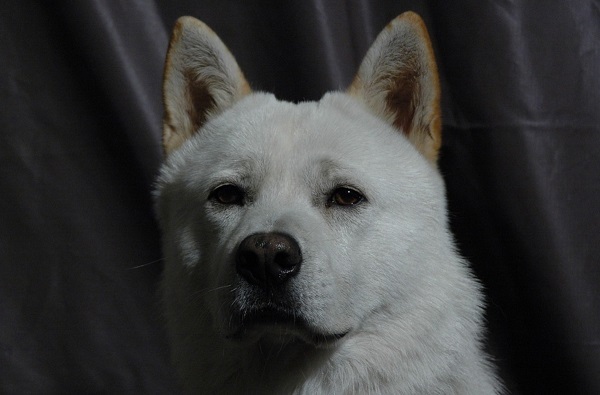 Originally bred as hunting dogs in Korea, the Jindo is strong and courageous. Due to their dominant nature, this breed is recommended for experienced owners that are able to implement strict training. The Korean Jindo should not be kept around small animals due to a strong prey drive. If you have the patience to properly train and exercise a Korean Jindo, you will be rewarded with a fiercely loyal companion. While the White German Shepherd looks the same as its black and tan colored siblings, it is generally more mellow thanks to selective breeding. This gentler personality means that the dog is a good companion. 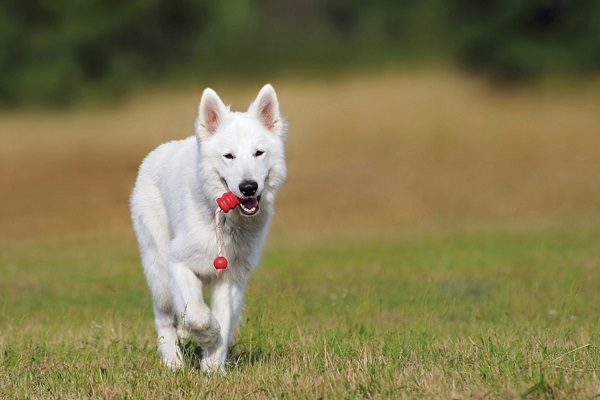 In fact, early socialization is needed to make sure that your White Shepherd develops social confidence, or it could be timid around other dogs and strangers. It is important to remember that the White Shepherd needs just as much exercise as the German Shepherd. As a large working dog, the White Shepherd needs a firm hand from its owner in order to establish the rules. With good training, this intelligent dog can learn to do many tasks in addition to providing great companionship. This spectacular breed has long fur that forms dreadlocks all over its body. Although it may look like the Puli would struggle to see past its own nose, this breed is a great guard dog thanks to its inquisitive nature and athletic body. Light on its feet and assertive, the Puli can become too sharp around strangers if not properly socialized. 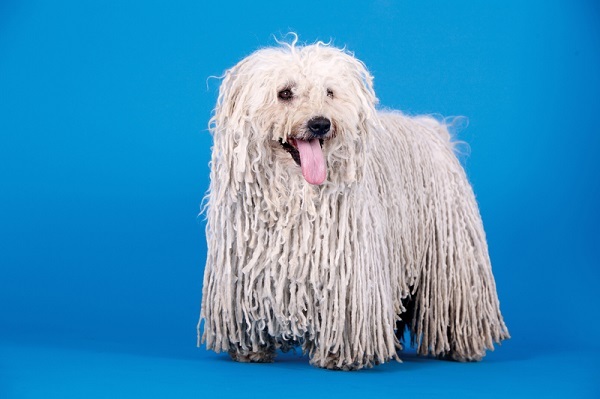 This breed is recommended for experienced owners who are confident enough to handle the Puli’s impulsive, hard-headed nature. Other considerations include a fondness for barking and a propensity to chase moving objects or people. This large breed works as a livestock guardian and has the territorial traits to match. 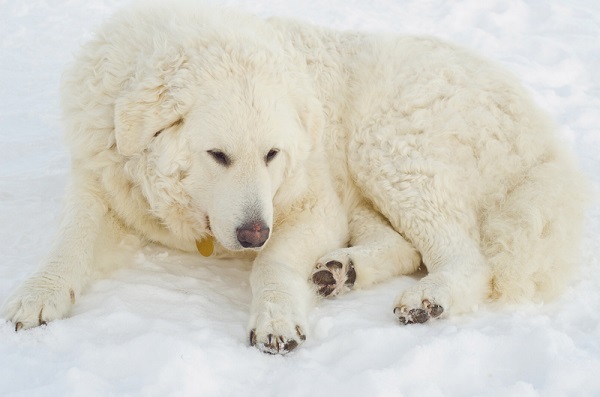 Fiercely protective, the Kuvasz will be suspicious of strangers and chase down unfamiliar animals. However, once properly socialized, this breed is able to live alongside an entire family and their pets. The important factor here is to establish yourself as the alpha of the pack in order to stop the Kovasz from becoming dominant. A large yard is recommended to satisfy the territorial instincts of the Kovasz, but only moderate exercise is needed to keep this dog happy. While you may want to own a white dog, it is important to consider the breed that you are going to own. 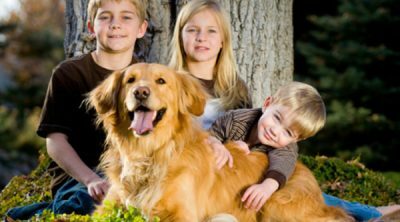 In a practical sense, it is essential that you choose a dog that you will be able to keep happy, whether that is in terms of living space or the amount of exercise that you can give it. Another consideration is the temperament of your dog, especially how they interact with humans and other pets. For example, if you already own another dog, it would not be a good decision to get a white Jack Russell Terrier. These dogs are known to have issues with other dogs. It doesn’t matter if you own the prettiest white dog that you have ever seen, if you can’t look after it properly. Taking on a breed that does not fit well with your living conditions will only make dog and owner unhappy, and in some cases could lead to injury. Once you have found a white dog breed that fits your living conditions, it is important to remember that a white coat requires particular care. For example, some white dog breeds can suffer staining around the eyes from tears, and some foods may cause discoloration around the mouth. Another consideration is the fact that white dog breeds are more likely to get dirty while out walking, and will need regular baths in order to look their best. To really enjoy the pure white coat of your pet, it is important to keep up with regular grooming and hygiene. In some breeds, white coats are linked to health problems. For example, white coats are associated with deafness in both dogs and cats. It is important to check your dog for any health problems. 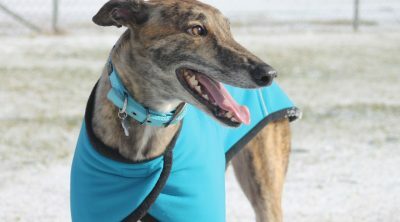 There are plenty of dogs to choose from in all different sizes, energy levels and temperaments. Make sure you do your research before you commit to getting a new dog. For first time owners, it is always sensible to get a young puppy from a more docile breed. Dogs are easier to train when they are young, and puppies will not have lived with another master like older dogs. 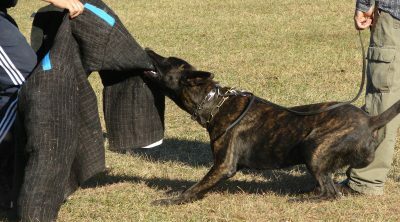 Docile breeds are inherently easier to train, and will allow the owner to grow in confidence. If a first-time owner takes on a Korean Jindo for example, they may struggle to control the dog’s independent streak. This could lead to problems for the owner, the dog and other people or animals that live nearby. 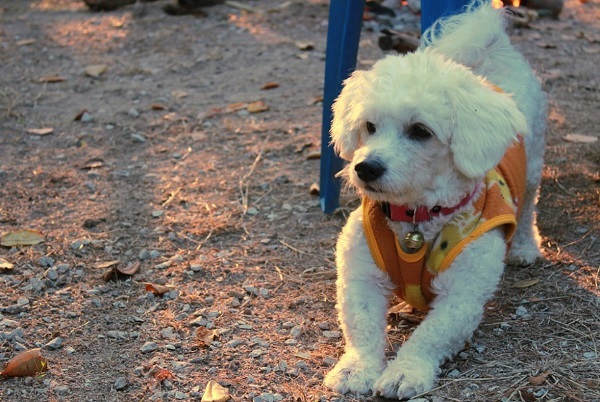 Whether you are better suited to large, energetic breeds or smaller, toy dogs, this list of white dog breeds sets out a few options for you to consider. Do bear in mind that there are many factors to think about when getting a dog, and the color is arguably the least important. Choose your white dog breed wisely and you will have a companion for many years. Avoid making a choice based purely on aesthetics so that your new furry friend does not end up in a shelter after a short period of time.